GIVEAWAYS: More, More, MORE! SPY KIDS 4D Movie Fun for the Family! UPDATE: Winners of the SPY KIDS 4 ROE Passes are Kelly Kennedy, Tracy Lant, Jenny Serrano and Pennie Creager! 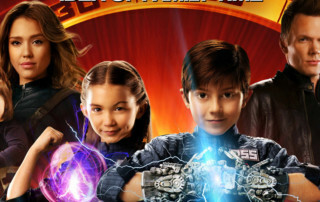 Hollywood Mom Blog readers had such a good time at the recent pre-screening of SPY KIDS we decided to continue the fun with even MORE awesome giveaways to Spy Kids All the Time in The World!